I came across a recipe for this “ice cream” a couple weeks ago, and it’s been on my mind ever since! If you leave out the chocolate chips on top, it’s vegan. Not to mention, super healthy and incredible delicious! 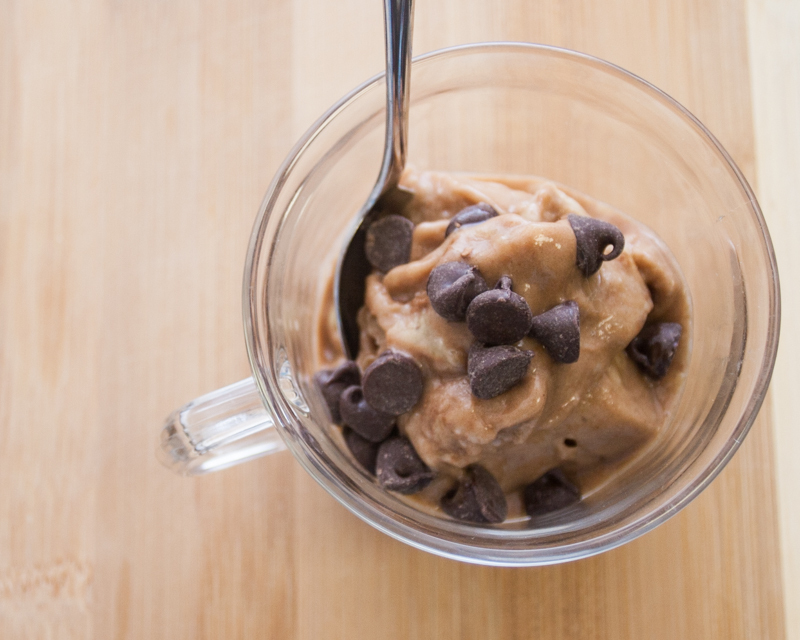 Blend banana, cocoa powder, and peanut butter in a food processor until smooth and creamy. I used the Magic Bullet, and it did not work as well as I would have hoped…this might require a real food processor or blender to do it quickly. 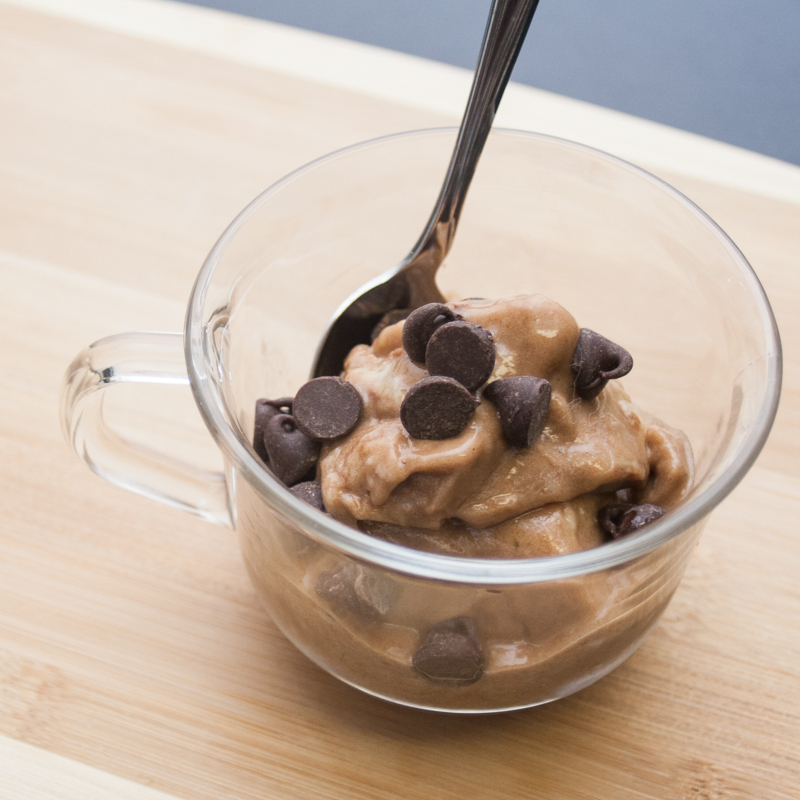 Top with chocolate chips and serve! Photographer & designer. Vegetarian & Gluten-Free Food Blogger at Pink Troll Kitchen.